Dr. Vishwas Dake has graduated from V. M. Medical College, Solapur. He has done M.S. and D.O.M.S. from B J Medical College Pune. He is the Life Member of National Eye Research Foundation, Chicago. The Doctor is an associate professor at Bharti Vidyapeeth. He has previously worked with Poona Hospital, Jahangir Hospital, Ruby Hall, Pune Advantists Hospital. 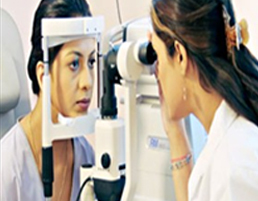 He has established an Eye Bank and has worked as Cornea Surgeon at Mahatma Gandhi Hospital since 1980 to 1991. He has established his own institute in the name of Dr. Dake’s Institute for Sight and Laser Centre and started working in the field of Diabetic Eye Care since 1991. Dr. Vishwas Dake has a centre for squint patients with the facility of exercises of surgery. He has the facility for stitchless cataract surgery. 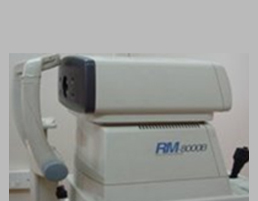 Phaco Machine for cataract surgery is available there along with the Vitroretinal surgery facility. He has written six national and international papers on Lens Bio-chemistry along with Prof. Dr. P.M. Gulakh at B J Medical College. The Doctor has participated in various national and international congress as a Speaker, Pannelist and Moderate. It refers to cataract surgery in which the internal lens of the eye is emulsified with an ultrasonic handpiece and aspirated from the eye. The loss of vision often occurs gradually over a long period of time, and symptoms occur gradually over a long period of time and it gets noticed only when the disease is quite advanced. Once lost vision cannot normally be recovered, so treatment is aimed at preventing further loss. Worldwide glaucoma is the second-leading cause of blindness after cataract. It is the surgery for correcting defects, deformities and disfigurations of the eye-lids. Pediatric ophthalmology is a sub category of ophthalmology and is concerned with eye diseases, visual development and vision treatment of children. Diabetic eye disorders have no early symptoms which causes vision loss more rapidly. Treatment for diabetic eye is given here. It is the surgery of removal of the natural lens of the eye that has developed pacifications, which is referred to as cataract. 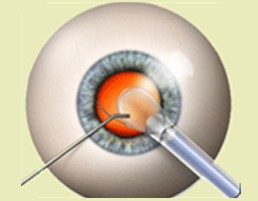 It is the surgery on the extraocular muscles to correct the misalignment of the eyes. It is the process of measuring the thickness of the cornea. It is useful in the screening for patients suspected of developing glaucoma.